It's good to see a director willing to try different genres, as opposed to playing it safe in one genre. Having already proved his versatility through psychological horror, black comedy and social dystopian thriller, Ben Wheatley now tries his hand at action comedy. The result is a rollicking good time, packed with as much wonderful dialogue as it is bullets. As the film kicks off, Justine (Brie Larson) introduces a gang of criminals to arms dealer Vernon (Sharlto Copley). Gang leader Chris (Cillian Murphy) wants to purchase a specific type of gun, but Vernon brings an entirely different type of weapon. Meanwhile, bruised gang member Stevo (Sam Riley) recognises Harry (Jack Reynor), Vernon's driver with whom he shared a prior punch up. These are examples of how Wheatley outstandingly maintains the tension, as one is left uncomfortable, waiting to see what will serve as the eventual tipping point. And then, a gun is fired. For the remainder of the runtime, the proceedings become one long shootout, but it's a far cry from the traditional Hollywood fare. Every character is on the receiving end of a bullet, and they're not shy about making it known how painful it is. The result has many of them laying in one place, or painfully shuffling throughout the scenery. Many people get hit in the leg, resulting in them crawling to their next destination, or in pursuit of another character. This element leads to some of the slowest chase scenes committed to cinema, and it's a testament to Wheatley's handling that it remains as tense and engaging as any well handled, high speed chase. When it comes to the talented cast, each member does wonderful work in their role. Brie Larson excels in her strong willed role, while Armie Hammer exudes charm and self-confidence. Jack Reynor and Sam Riley get across their rivalry exceptionally, but it's the charismatic Sharlto Copley who proves to be the absolute standout. Any film could attempt one liners or cheap attempts at slapstick for humour. When this film succeeds in the comedy, it's down to the performers. As these fascinating characters bounce well timed witticisms off each other, it leads to effective bursts of humour. 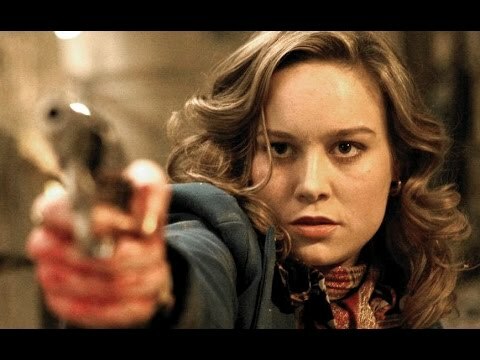 A deftly handled mixture of well sustained action and comedy, Free Fire is an absolute blast. One only wonders where Ben Wheatley will go next, and the result is eagerly awaited. Welcome to my blog, where I have written film reviews since 2011. I also post other articles detailing my thoughts. I hope you enjoy reading my posts, and if you like them, leave a comment.